Adam Schaeuble was only in his 20’s, but at 327 pounds, he was already having serious health issues related to his weight. He was $40,000 in debt and had lost his direction in life. His health issues were a catalyst for change. He began overhauling his lifestyle and fitness goals and ultimately lost over 100 pounds. Using the knowledge he gleaned from his experiences, Adam, a/k/a, The PHD (Previously Heavy Dude), created a successful bootcamp program that produced over 35,000 lbs of results in his hometown of Bloomington, Indiana. The success of his bootcamp program inspired Adam to go even further than his hometown and make a bigger impact. He started the “Million Pound Mission” Podcast in conjunction with his coaching programs, and the Million Pound Mission Bootcamp, with a goal of inspiring over one million pounds of healthy results. They are tracking the number on their website, with people donating their weight loss. They are now over 5% of the way to the goal. He is also the host of “The TransformationCoach.Me”, podcast where he dives into his best transformation tips and strategies. 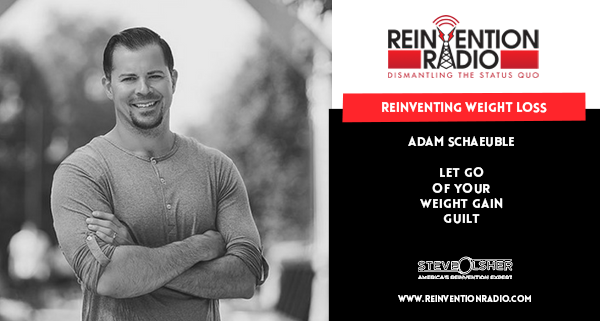 Tune in to hear Adam chat with Steve, Mary, and Richard about letting go of weight gain guilt, setting goals and sticking to them. Is a food addiction genetic? The New Media Summit Effect is real! Reinventing Asian Women – In this episode, tune in to hear Kimchi Chow chat with Steve, Mary, and Richard about her life in Vietnam, her family’s escape to the United States and what she has learned over four decades living as an immigrant.